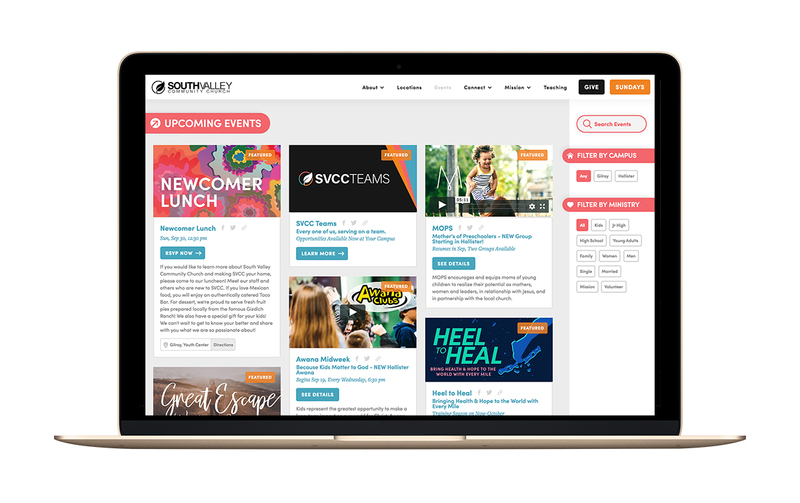 I currently manage the website for South Valley Community Church (SVCC) and oversee the design and content. This website is constantly changing to meet the needs of SVCC. Throughout the website photos of SVCC's congregation are used to engage the visitor. Used are the branding colors and fonts. The website is fully responsive and is available to all devices and systems. The main purpose for the website is to attract new attenders to the church as well as be a relevant and updated resource for the current members of the multi-campus church. Spanning 80 pages, the site features live calendar systems, many website forms, sermon payers, curriculum viewing, and general information. Overall, this site is user friendly, strongly interactive, well designed, and effective. This site was featured on Muse Site of the Day on May 27, 2016.